A thread lift is a quick, in-office facial and neck rejuvenation procedure performed by our Board Certified Plastic Surgeon, Dr. Nasir, under local anesthesia. Absorbable threads (like suture material) are strategically and gently placed below the skin and used to gently reposition and restore tissues to their more youthful and natural positions. There are no incisions nor visible scars associated with this minimally invasive procedure. Thread lifting can be combined with other procedures like fillers, liposuction, fat transfer, and BOTOX® injections for truly amazing results which may last from 1 to 5 years! This is all without the need for general anesthesia or prolonged recovery. The threads are composed of PDO (polydioxanone) and PLLA (poly latic acid), which are FDA-approved materials that are gradually absorbed by the body and help stimulate collagen and elastin production. Who Is a Candidate for the Thread Lift? The thread lift procedure is ideal for someone who is not quite ready for a facelift but who still wants to look more youthful. Alternatively, a thread lift procedure is great for someone who is ready for a facelift but does not want scarring or a prolonged recovery. Although the surgical facelift remains the Gold Standard for facial rejuvenation, thread lifts have come a long way, and in combination with other therapies and treatments (like fillers), amazing results can truly be achieved. One of the great things about thread lifts is their versatility. They can be used in the face for rejuvenation, to reposition the eyebrows, to blunt the nasolabial folds and marionette lines, and to tighten the neck, as well as in many other areas to help restore, revolumize, and rejuvenate—all under local anesthesia. In the hands of a skilled Plastic Surgeon, thread lifts can offer fast, long lasting, and dramatic results. What Does the Thread Lift Procedure Entail? A thread lift procedure with Dr. Nasir starts with you. After talking with you about your concerns, he will tailor his treatment to your needs and your anatomy, and determine if you are a good candidate for the procedure. For the actual thread lift procedure, you will be given local anesthesia to numb the area being treated while allowing you to stay awake during treatment. Dr. Nasir will then begin the process by inserting a very thin needle which holds the surgical thread inside. These biodegradable sutures are either smooth, twisted, or barbed depending on the goal of your treatment. Once inserted and deployed, the threads are gently pulled and set in place to produce the desired effect on lax tissue with virtually instant results. As the thread is absorbed over time, collagen growth occurs helping create longer lasting support for the surrounding tissues. The entire thread lifting process takes about 30 to 60 minutes. Cosmetic injectables, such as BOTOX Cosmetic and dermal fillers, are often used in conjunction with the thread lift procedure to provide enhanced results. What Is the Thread Lift Recovery Like? 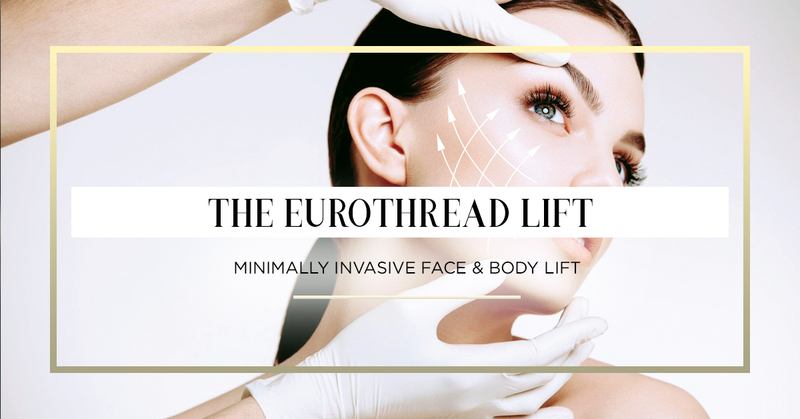 As a minimally invasive procedure, the thread lift has little downtime, allowing patients to resume their normal schedule soon after leaving our office. Dr. Nasir will provide you with post-operative care instructions to ensure you heal properly and have a reduced risk of complications as you recover. You may experience some degree of bruising, redness, and tenderness after the procedure, but these side effects should quickly fade. Results from the thread lift procedure are typically seen immediately, as the lifting process provides instant rejuvenation. As the threads stimulate collagen production, the area should undergo additional improvement over the following months. The rejuvenating effects of the thread lift can last from one to two years on average, but up to 5 years. To prolong your youthful results, an additional procedure or complementary treatments can be performed. The cost of thread lifting will vary for each patient according to their unique needs. On average, the thread lift can range from about $499 to $4,500 depending on the areas treated. To receive a personalized quote for your procedure, please contact Lotus Cosmetic Surgery Connecticut at 203-221-5809 to schedule a consultation with Dr. Nasir.